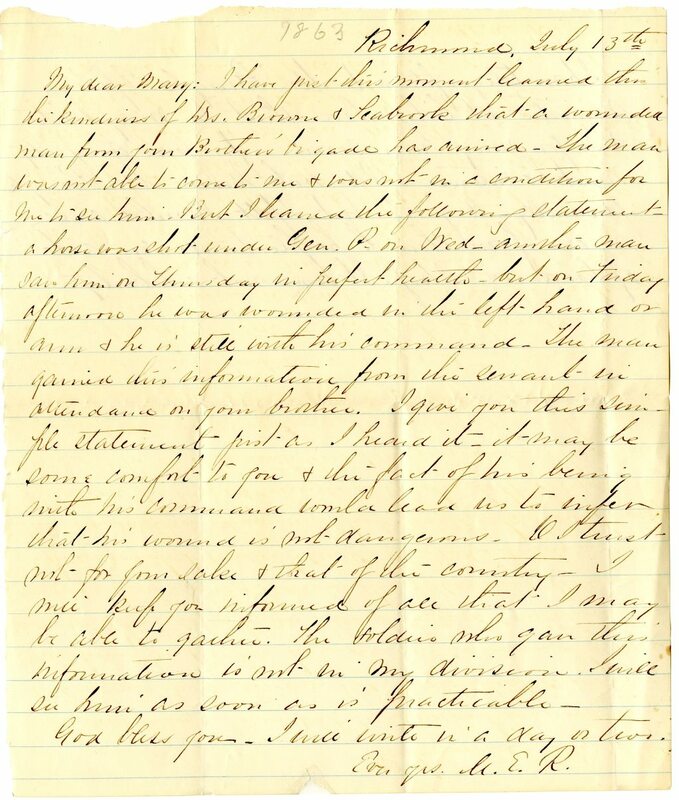 Item Description: Letter, 13 July 1863, from Richmond to Mary B. Pettigrew informing her of the condition of her brother, James Johnston Pettigrew. 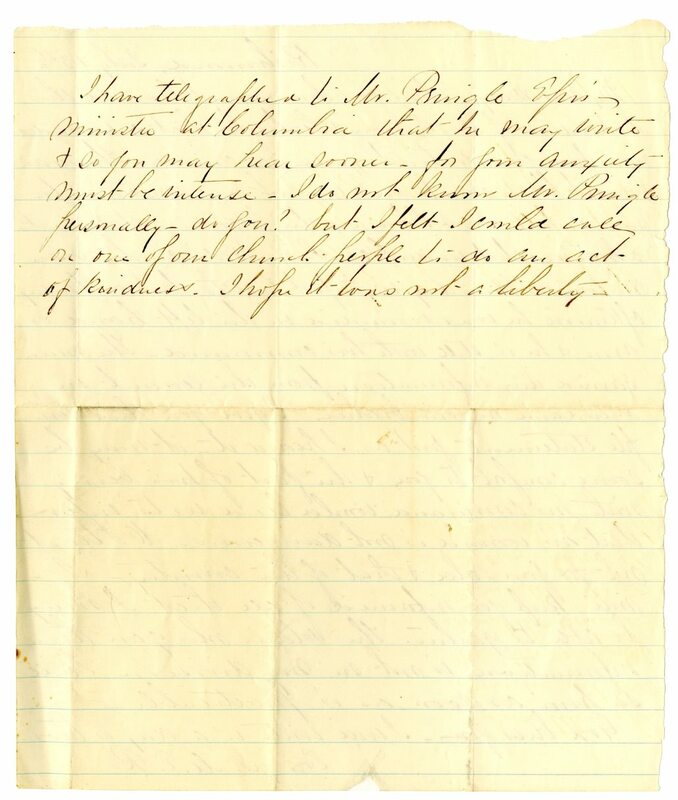 An officer in the Confederacy, James Johnston Pettigrew served in several important battles, but few documents detailing this survive. M. E. R, the sender, seems to be an unknown family friend. Mary would later marry a doctor in Norfolk, Va. Item Citation: Folder 264, Pettigrew Family Papers 592, Southern Historical Collection, Wilson Library, University of North Carolina at Chapel Hill. God bless you. I will write in a day or two. Ever yrs. M. E. R.
I have telegraphed to Mr. Pringle Epis. minister at Columbia that he may invite and so for may hear sooner – for Jim anxiety must be intense – I do not know Mr. Pringle personally _ do you? but I felt I could call on one of our church perple to do an act of kindness. I hope it was not a liberty. This entry was posted in Southern Historical Collection and tagged Episcopal, James Johnston Pettigrew, Mary Pettigrew, Pettigrew family, Richmond. Bookmark the permalink.